I’ve enjoyed comic books since I was a little kid. I grew up on Super Friends, and Spider-Man and His Amazing Friends, and Adam West’s Batman. A few years later, I moved to the big screen adaptations of Batman, Spider-Man, and numerous others. The stories of epic adventure, the triumph of good over evil, and working together were always great. In more recent times, that’s primarily been the Marvel Universe(s) over DC and it didn’t click until after the Justice League release. The reason is simple. In the first two Iron Man movies, Tony Stark is a jerk. While these break my pattern, hold your questions until the end. In Thor, after being cast to Earth, his self sacrifice to protect the town proves that he’s worthy of his hammer. In Captain America, despite falling in love, Steve sacrifices himself by flying the super weapon away and crashing in the Arctic. The old German man stands up to Loki, fully ready to die. Agent Coulson takes on Loki even through he knows he’s outclassed. 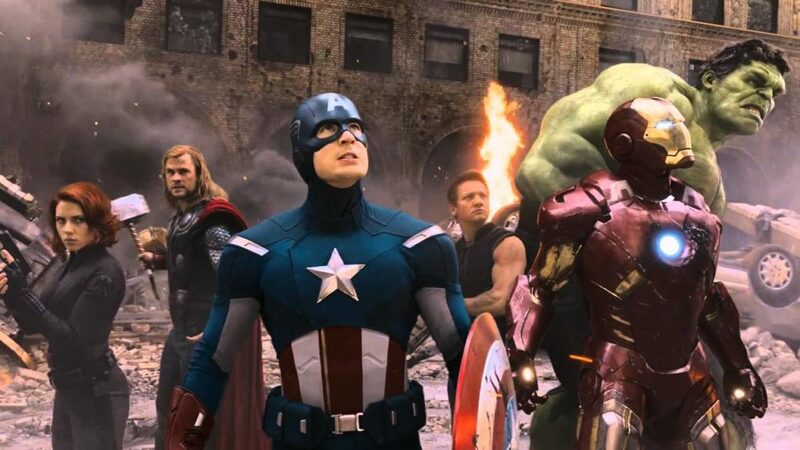 Throughout the entire fight in New York, the Avengers literally throw themselves between civilians and the aliens. Finally, Tony Stark sacrifices himself to take the nuke through the portal and save New York. It’s worth noting he wasn’t ready for this and it breaks him as demonstrated by his PTSD in Iron Man 3. In Guardians of the Galaxy, Groot sacrifices himself to save the team and then Quill grabs the Infinity Stone to defeat Ronan. In Avengers: Age of Ultron, Scarlet Witch and Quicksilver both choose to step into a fight that both could have escaped from. Quicksilver sacrifices himself to save Hawkeye. In Captain America: Civil War, Steve sacrificed everything he had – including friendships – for the friend he lost before. In Doctor Strange, he creates a time loop sacrificing himself over and over again to trap the big bad. In Thor: Ragnarock, Thor sacrifices Asgard to save his people. Also, after years of being stuck as the Hulk, Bruce Banner goes back to normal and in the final fight – knowing he might be Hulk forever – chooses to become him again. In Avengers: Infinity War, Vision sacrifices himself to fight Thanos. Scarlet Witch sacrifices her heart to kill Vision. Compare that to the DC Universe.. In Man of Steel, Superman sacrifices Metropolis and eventually his moral code to defeat Zod. While the Avengers were evacuating buildings, Superman throws them at Zod. In Batman v Superman, Batman resents Superman because of the building throwing antics and tries to kill him. By the end, Superman sacrifices himself to kill Doomsday. In Suicide Squad, El Diablo sacrifices himself to kill the mini-boss. I bet you didn’t even know El Diablo’s name.. I didn’t. With Ares back in the world, the Amazons sacrifice their way of life leaving their island to fulfill their sole mission. No wait, they don’t. Let me try again.. Despite falling in love, the super powerful immortal Wonder Woman sacrifices herself by flying the super weapon away. No wait, that was the mortal Steve Trevor. The Amazons sacrifice themselves to protect the Motherbox and save the world. No wait, they don’t. Let me try again.. In Justice League, Wonder Woman and Aquaman sacrifice themselves to defeat Steppenwolf and save the world. No wait, they don’t. Superman shows up and beat him. Let me try again.. In Justice League, the Flash sacrifices himself to rescue families from the impending doom. No wait, there’s Superman carrying an apartment building. It doesn’t matter where you come from or what your powers are, Superman is better, stronger, faster, and more powerful. And worst of all, since he’s nearly impossible to hurt, his “sacrifices” don’t matter. He will walk away from them without a mark. Alternatively, in the Marvel Cinematic Universe, every single story has a character that steps up and sacrifices themselves to stand up for what’s right and win the day. More importantly, it’s a different character each time. It doesn’t matter whether you’re an armored-super soldier-god-wizard-accident-genius-alien, anyone can step up and make a difference. As long as Marvel doesn’t introduce a flying, super strong, beam shooting, effectively invulnerable, alien-empowered character, we don’t have anything to… aw.. crap..